Knife throwing is a popular sport in different parts of the world, but it is especially prevalent in Europe and the United States. There is even an organization known as International Knife Throwers Hall of Fame, which holds events for the knife-throwing community. A lot of people also consider knife-throwing as a martial art, and more importantly, it can be used for self-defense. However, if you are simply looking for fun, knife-throwing can also be for you! In fact, you might even find it addictive and eventually want to play it professionally. Whether you are throwing knives in tournaments or you are just doing it as a hobby, it is crucial to choose the throwing knife that is best for you. The right one will allow you to have more remarkable performances, better efficiency, and even more fun. Are you wondering how we were able to pick out throwing knives today? Well, recent updates were done on this buying guide to help inform our readers more about how we did. Below, learn about the different criteria we used during the evaluation process and answers to the most commonly asked questions. There are several factors that you need to look into when picking out the right throwing knife. For instance, you should consider its size, design, construction, material, and weight. If there is a budget that you want to stick to, go for the knife that would give you the best value for your money. To help you with that, here is our review of the best throwing knives that you can choose from. The Cold Steel GI Tanto is a reliable tactical knife that can be used for a lot of practical purposes. This knife is a no-nonsense one that can give you just exactly what you need in a throwing knife. The GI Tanto can be thrown by the handle or by the blade, and you can even convert it into a spear in an instant. With its Polypropylene handle scales, integral quillon guard, and broad blade, the GI Tanto is really all about the bare essentials. It also has a rust-resistant finish, making it long-lasting and dependable. Another great thing about the GI Tanto is that it is a helpful tool for self-defense and survival. The knife is convertible, and you can easily transform it into a spear. The GI Tanto is inexpensive and affordable, and you can easily buy several more pieces to keep as back-ups. Considering its durability and practicality, the GI Tanto is definitely a steal. The Perfect Point RC-179 Series is a set of three knives that come with steel handles and black blades. Each of the knives offers a balanced throw. It also features a laser cut-out at the end of the handle, allowing you to tie a ribbon to it. With the knives’ black nylon sheath, you can have the peace of mind that you can transport them safely. The Perfect Point RC-179 is one of the most stylish knives sets out there. Each knife is 8-inches long and features a black stainless steel blade decorated with a spider print. The knives’ stainless steel blades will make it easier for you to make your throws speedy and more precise. They are also lightweight and are great for close range throws. The Perfect Point RC-179 Series is an affordable knife set that features stainless steel blades and a decent sheath. The knives have a good balance and are worth their price. 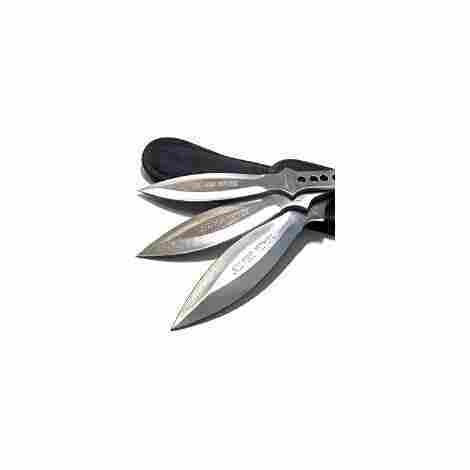 The United Cutlery UC2772 Expendables Kunai is a set of three pieces throwing knives with sheath. For 20 years, the United Cutlery has been known to produce amazing throwing knives that can be used for both sporting and hunting. 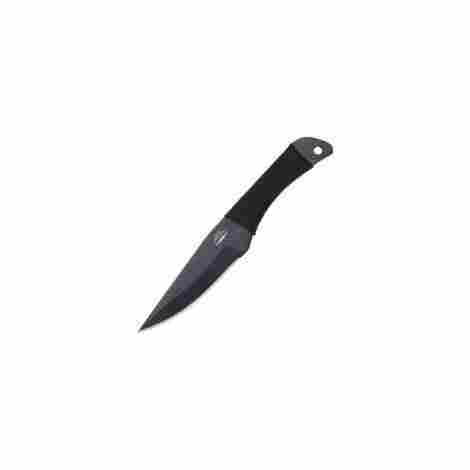 Each throwing knife features an anodized stainless steel blade and measures 12 inches overall. These knives’ quality craftsmanship ensures good balance and easy throws. These throwers are just like the ones that were used in the film ‘The Expendables’ - accurate and well-balanced. You can throw them while holding either the blade or the handle. The steel used for the throwers is hard, making the knives tough and durable. Unlike other throwing knives that chip and bend easily even with just normal throwing, these ones hold up really well. This set comes with 3 pcs of throwers, which is already a plus. What makes the United Cutlery UC2772 even more awesome is that they have great quality while being affordable. This set is clearly a wise investment. The SOG F041TN is a 3-pc set inspired by the Vietnam Tomahawk. This model is an evolved and modernized version of the original. These throwing knives are meant not only for sporting, but also for a lot of other practical applications. Each knife features a stainless steel head and a nylon handle. Heavy-duty bolts were used to mount the head to the handle for enhanced reinforcement. These throwing knives are pretty versatile, in that they can be used for multiple purposes, including extraction, excavation, and others. Because of their practicality, they can also serve as field knives. These knives are great for throwing because of their proportions and their balance. Flinging them into the air is enjoyable, and they are great for both close-range and long-range throws. The SOG F041TN throwing knives are wonderful for their price. They are sharp, lightweight, and multi-purpose. With all their practical uses, it will be as if you bought multiple tools for the price of one. Smith & Wesson is best-known for manufacturing high-quality firearms, but they also produce throwing knives. Their knives are built with the same quality as their firearms, so you can trust that they are durable and long-lasting. The Smith & Wesson SWTK8CP is a 6-pc set of 8” knives. The knives have straight-edge blades that are created from stainless steel. Each set comes with a nylon sheath that can carry all 6 knives. Smith & Wesson is a reputable company. Needless to say, their knives and other tools carry the same prestige that comes with their firearms. These tactical knives come with a minimalistic design and are well-balanced. These throwing knives are made of hard steel. This means that they will not easily bend or chip, unlike other inexpensive throwers. They also allow for good throwing control and are ideal for beginners. The Smith & Wesson SWTK8CP set really is an amazing deal. Why? You’ll get all six throwing knives for a low cost! They are reasonably priced, yet built with impressive craftsmanship. 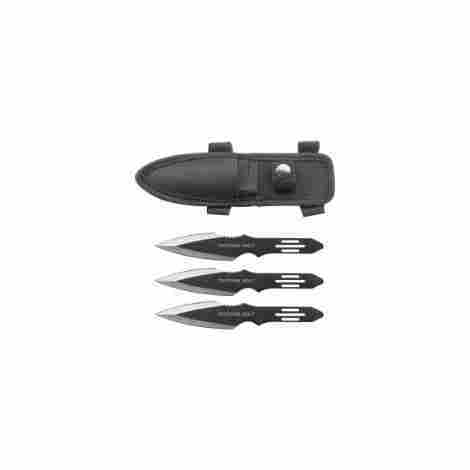 The BladesUSA Perfect Point RC-595-3 thunderbolt throwing knife 3-pc set will help you enhance your knife-throwing skills, no matter if you are a beginner or a professional. 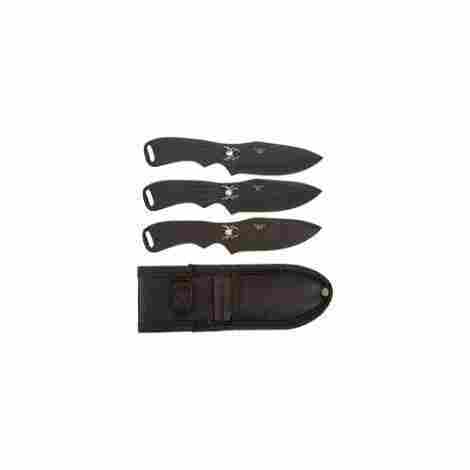 This set comes with a black tactical nylon sheath that can hold all 3 knives. These throwers have a stainless steel construction and are durable and sharp. They are also able to fly swiftly. 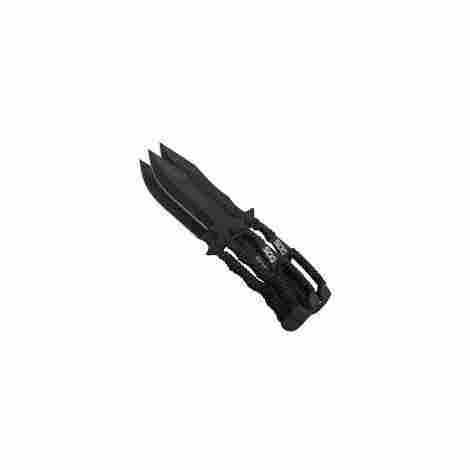 These knives are sharp and durable, allowing them to penetrate almost any target - both hard and soft. They also have two-tone black and silver blades as well as stainless steel handles. The sheath that comes with this is perfect for transporting the knives all at once. The knives are also lightweight, making it easy for you to bring them anywhere you go. With its durability, sharpness, and balanced weight, this set truly provides awesome value for money. 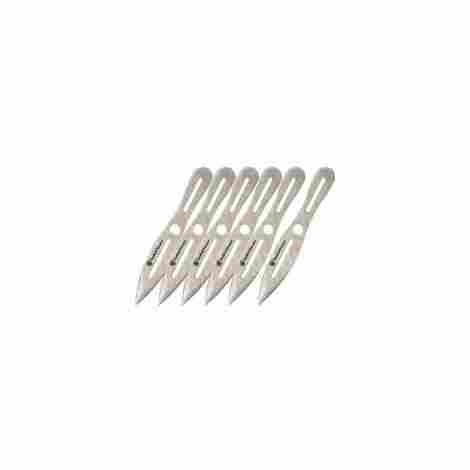 They provide great fun and are relatively safe because even if the tip is sharp, the sides are dull. This set is pretty cheap and it serves its purpose. 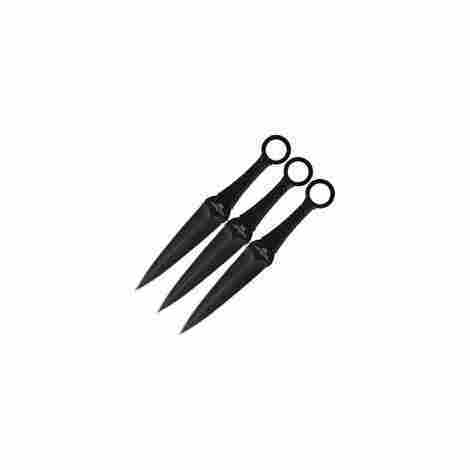 The Gil Hibben Cord Grip triple thrower knife set is a great choice if you are looking for high-quality throwers that can fit a tight budget. The knives’ blades are constructed of stainless steel. These throwers are also ideal for you if you are still a beginner and you are looking for practice knives. Hone your skills with these easy-to-grip throwers. These knives’ best feature is probably its grip’s non-slip design. The grip also has high-quality wrapping. It can help you handle the knife easily and allow you to have a good throw. The blade’s tip is very sharp, and it has no problem sticking to different targets - even wood. This sharpness will ensure you that your thrower will embed in your target perfectly. This is a knife set that is affordable but does not skimp on the quality. It is well-balanced, durably built, sharp, and easy to throw, making it a good deal for its price. 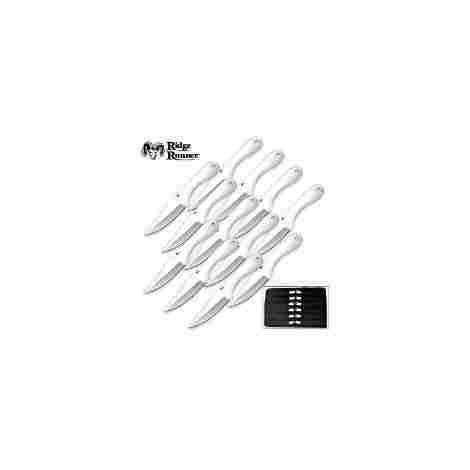 This 12-pc set of Ridge Runner Ninja throwing knives is ideal for budding throwers who are looking for something to practice with. Each knife measures 6 inches long and has a handle that’s ⅓ cm thick. The design of these knives allows for the weight to be distributed evenly, providing good balance. The set also includes a nylon sheath that can hold all of the knives. The knives’ balanced design provides stability to the each knife’s flight. The blade can also easily leave the hand, and its small size does not get in the way of its throwing performance. The tip of these knives is quite sharp, allowing them to penetrate the target well. The edges are not very sharp out of the box, but they are enough to embed into your chosen surface. This is no doubt a really cheap purchase. The price is low, but the quality of the knives is decent. It even has a nylon pouch that can be rolled up for a convenient and safe transport. The Avias Knife Supply 9-inch 3-pc set features stainless steel knives, ensuring durability. These knives’ design allows them to suit any throwing style that you might have. Their shape and size are also ideal, providing an enjoyable throwing experience. Beginners and professionals alike will find these knives impressive, considering their price. Each knife also comes with a loop design that will let you latch it on a bag or belt. These knives are pretty strong and are able to stay intact even after landing on hard surfaces. Because of their durable construction, they can hold up well on various materials, including concrete. They are not too light but not too heavy as well. Their nice weight provides a good balance and allows for an easy throw. They also fit the hand perfectly. Their stainless steel material is durable and endures throws on various materials. The blades are designed well, and they are also shaped and don’t get dull easily. They definitely are worth their price. The Magnum Bailey Mini Bo-Kri is a design from John Bailey, a famous thrower. This knife offers excellent balance as its weight is distributed evenly. It is also relatively long and heavy, which keeps throws from rotating too fast. Its strong build allows it to survive violent throws, and it works great for throwing at both long and short distances. This knife’s perfect balance is what a lot of throwers are fond of. 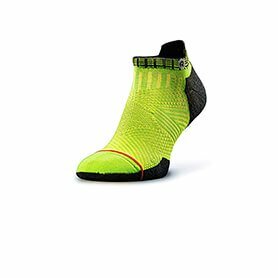 It has unique lines and style that provide the ideal balance point. Its weight and length are also just right. The tip of this knife is so sharp that you won’t really have to throw that hard just to make it stick to the target surface. You can even use this knife for competitions. The Magnum Bailey Mini Bo-Kri is not the most affordable throwing knife out there, but it is undeniably more durable than the cheaper options. 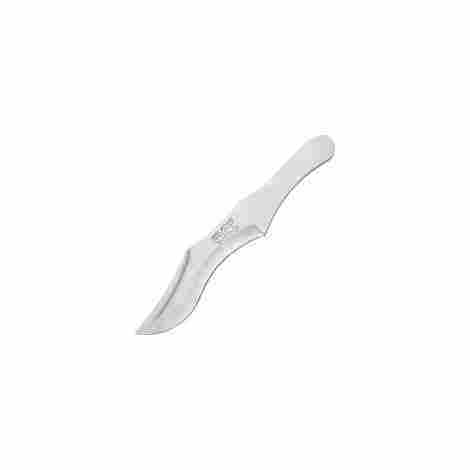 It is a must-have if you are looking for a throwing knife that’s reasonably priced and able to take hard throws. For you to be able to buy the right throwing knife, you need to make a smart and informed decision. Take note of your needs and preferences, and choose the knife that meets your requirements. You might also want to consider your skill level. If you are still a novice, it is recommended that you go for cheap and easy-to-use knives first. And if you are someone who likes to throw from the blade, try to find knives that are not too sharp on the edges. This is so that you can lower the risk of accidentally slicing your fingers. As much as possible, find a knife that feels good in your hands. Doing so will help you throw better. Meanwhile, if you are already a seasoned thrower and you are ready to join competitions, it will be a great idea to invest in a high-quality knife, even if it is a bit pricey. But remember, though, that the more expensive item is not always the better one. Throwing knives have been around for thousands of years and date as far back as 1300 BC! While the purpose of throwing knives changes with every person, religion, society, and location, there is always a good use for them. The original throwing knife was more closely related to a throwing stick that was used solely for hunting purposes. Can you imagine having to get dinner with a throwing stick? The earlier throwing knives were made solely from sticks, carved to make a sharp edge and then handles were formed with different leathers and other materials, allowing for a good grip and total comfort. As soon as metals were introduced, throwing knives became an essential part of everyday weaponry. These knives were used as deadly weapons against man, especially in war. With the popularity of the throwing knives, almost every culture had some form of throwing knives that were used in war, as home protection, and also against predators. Later in life, throwing knives became more of a hobby and special interest. As time went on, throwing knives became smaller, easier to throw, and even made special, for throwing competitions. As recreational throwing became more popular, competitions came about. With competitions, men and women compete for the best skill and the most accuracy. It is great to see, how much the history of the throwing knives have changed! When you are searching for a good throwing knife, there are some key points and characteristics that you want to look for. On average, a standard, well-built throwing knife will have dull edges and a super sharp point. This allows for the knife to stick, as soon as it hits its target. More importantly, throwing knives are made thicker than the average knife. The reason behind this is simple, the knife will not bend on impact! If the knife wasn’t made thick, you would just destroy a knife, each time you threw it, which would then become an incredibly expensive hobby! Without these characteristics, you are posing the risk of ruining your knife, every time it makes an impact on a target. As previously mentioned, this hobby would become expensive, in the event you bought knives not intended for throwing purposes. When it comes down to competition, you will always want to have a well put together blade, so you don’t miss out on winning! Depending upon the makeup of the knife, throwing is different across the board. You have to handle the knives in a certain way, while throwing, to hit your objective target. Typically, knives are held by the handle of the knife. With the throwing knives, you will actually hold on to these by the blade. Sounds dangerous? Not quite. As previously discussed, a good throwing knife is dull on the sides of the blade, and only sharp at the point. If you’re asking yourself why throwing knives are held by the blade, here is the answer. Depending upon how many spins you need, that is how you will hold the knife. If you have a target set up and you think that the blade will spin 2 times before hitting the target, you will want to throw it by holding onto the handle of the knife. If you have 1.5 spins before the target, you hold it by the blade. Gauging the spins required is simple, based off of the distance of the blade. Q: Is the knife coated with black paint? A: As the most frequently asked question, users take note of the black paint style of many of the knives. With that, users want to know and take into consideration if the paint chips after scratches. The answer is yes unless it has an anti-scratch coating, which many of the knives do not. With that said, users should be careful that if the paint chips too much the stainless-steel blade will be able to shine through the black paint. Q: Does the knife come sharp and ready? A: This is another frequently asked question and we can see why. When buying a knife, the last thing an individual wants to do is take the time to sharpen, especially if they do not have the right sharpening tools. With that said, many of the knives do come ready and sharp. However, some users have mentioned that the knives can be somewhat dull at the point for safety purposes. Q: Does it come with a sheath? A: As another frequently asked question, users take into consideration if the item comes with a sheath. With that said, it all depends on the style, brand, and type of throwing knife an individual buys. Some brands do not offer sheaths. However, some brands do offer belt sheaths, arm sheaths, or leg sheaths designed from a durable fabric or better yet, leather. With that said, users should read the product description and what is included to better know if the item does come with a sheath. A: As another frequently asked question, users are interested in knowing if the product does come with a warranty. With that in mind, many of the throwing knife brands tout their knife as being the best and have a lifetime warranty guarantee, if not an individual can return it. However, it is always best to read the product descriptions, so an individual can get to know whether or not the product comes with a warranty. Q: Are they made in the United States? 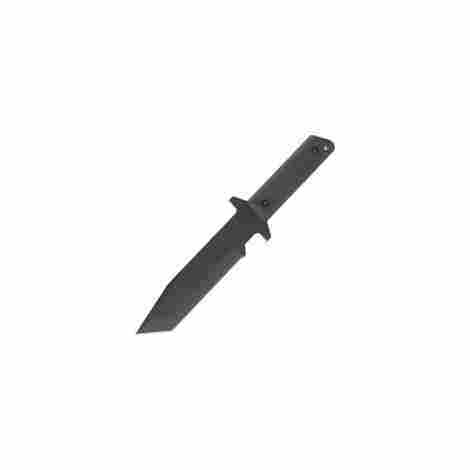 A: Another most frequently asked question is if the throwing knife is made in the United States. Reason being is that there is a common belief that USA items are better quality. However, some products range as far as which country they are made. Therefore, it is always best to get to know the brand and where they are located.